Get your popcorn, hot and buttery popcorn! 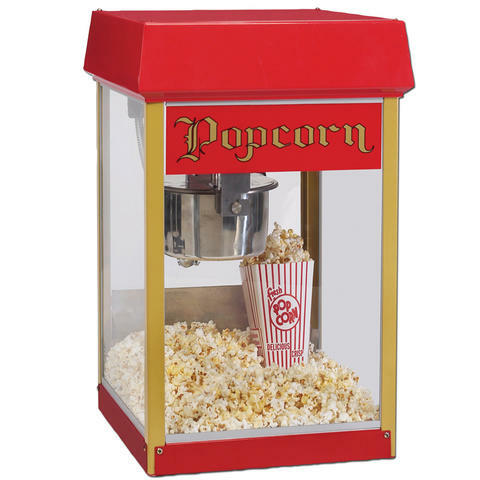 This is a commercial grade Popcorn machine, not some home style department store unit, Has the bright colors and stainless steel 10 oz kettle to make 10 servings per batch. Comes with Gold Medal popcorn kits which include kernels, oil, butter and salt all in one convenient package, just open the pack and pour it in the kettle, switch on the machine and in no time you have some of the BEST popcorn you have ever tasted.